The Dian Shin Design Refreshment has been held since 2006. 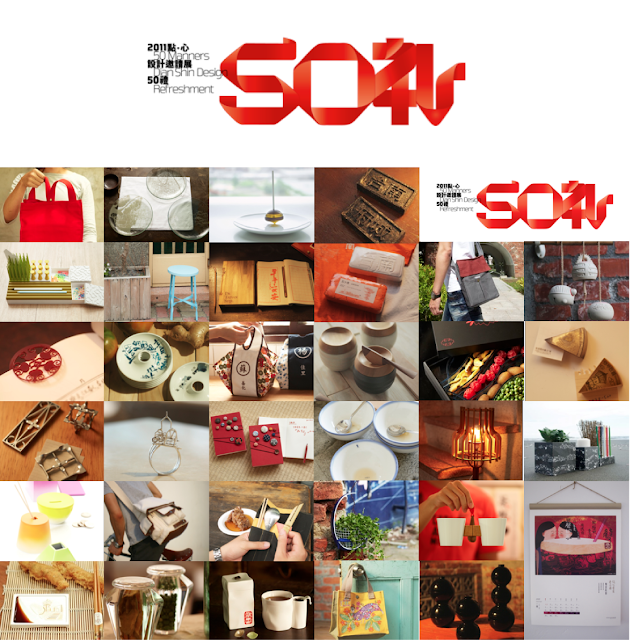 About 50 outstanding Taiwanese designers were invited every year to create a work on a specific common issue to find the Oriental modern living value and wisdom from the Chinese civilization. From the ‘50 benches’ in 2007, the ‘50 Pleasures in the Study’ in 2008, the ‘50 Tea Servings’ in 2009 to the ‘Potential 50’ in 2010, the key point and design inspiration of the exhibition was changing from utensil and living field to living value and experience. Because we found that the exploration of design in Taiwan shall not lose the dialogue with the land and the public, we decided to set Tainan as the field of highlights of Dian Shin Design Refreshment. Tainan was the first administrative center of Taiwan and known as ‘Taiwan’s Kyoto’. This city has not only the greatest historic monuments and cultural heritage but it has invited the artists from the field of craft, architecture and design to develop some dialogues with the city’s evolution context. We hope that we can manifest the new features of this city and absorb new possibilities of viewpoint through the sensation and experience of the ambience of urban life. This year the theme of the exhibition was set as ‘50 Manners’ and we hope that every designer will create an innovative ‘gift’ to express his or her own sensation and memory about Tainan and explore further the living value and aesthetics of modern Tainan.